HOUSTON — The UTRGV baseball team fell to Houston Baptist 14-3 on Tuesday at Husky Field. HBU (12-17) got on the board against UTRGV junior Trevelle Hill (3-2) right away, as with two outs in the first, Jake Scott hit an RBI double. In the second, with a runner on third and one out, Elijah Simon singled to center to bring in a run. One out later, with two runners on, Matt Heck hit an RBI single. Then, after a walk loaded the bases, Scott hit a two-run double to put HBU up 5-0. HBU added five runs against two relievers in the third on a Spencer Halloran sacrifice fly, a wild pitch, a Heck RBI triple, a Grant Buck bases-loaded walk, and a bases-loaded hit batsman. 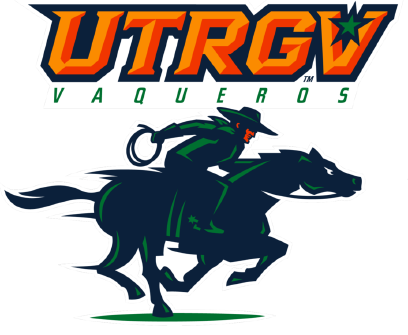 UTRGV (16-13) got on the board in the fourth, when senior Austin Siener singled through the left side to score sophomore Elijah Alexander from second. Siener advanced to third on a throwing error and scored on a sacrifice fly by sophomore Tyler Torres to bring UTRGV within 10-2. Siener finished 2 for 4. That was all UTRGV would score against Hunter McClellan (1-1), who pitched five innings, scattering five hits while striking out one. UTRGV added another run in the seventh when senior Noah Lee singled up the middle to bring home freshman Zach Parks, who finished 1 for 3 with a walk. After UTRGV scored in the fourth, Halloran answered in the bottom of the inning with a solo home run. Later in the frame, Buck drew another bases-loaded walk to restore HBU’s 10-run lead. HBU added two more runs in the sixth on a two-run home run by Erik Voller. Heck, Scott and Simon each finished with three hits, while Halloran and Voller had two hits apiece. UTRGV opens up a three-game series at UC Santa Barbara at 5 p.m. Friday.